The Tucson Festival of Books was this weekend, and a greater hive of scum and villainy—readers and publishers—you will never see. 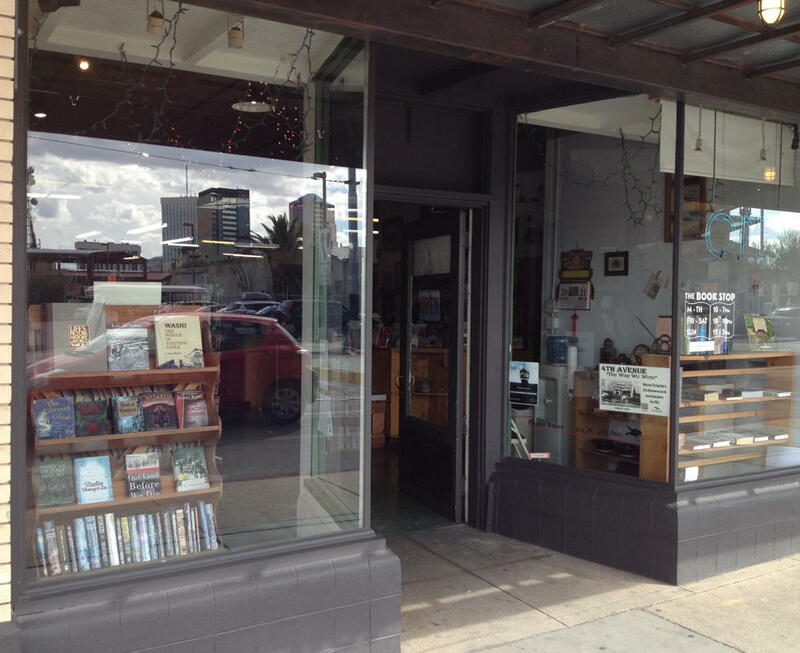 Tucson also has at least one nice bookstore: The Book Stop on 4th Avenue. I didn’t pick up too many books here last time, but that’s mainly because I’m trying to cut back on my addiction. The two books I did pick up have been on my list for a long time, and I haven’t seen them at any of the many bookstores I’ve visited. Basic Economics is a great introduction to just what the title says, including the subtitle, “A Citizen’s Guide”. Thomas Sowell very deftly covers the economics that people need to know to be informed voters. Fouad Ajami’s Dream Palace of the Arabs is a fascinating look at the history of artistic intellectuals in Arab politics, and turns out to also be a nice introduction to the factions of the Arab world. As you can see from my purchases, prices here are a bit higher than in other reviews, but that may be a reflection of the scarcity of the books in question in used bookstores. Also, Basic Economics is a textbook, and those tend to be higher priced as well. As I recall, their prices were better in their science fiction/fantasy section; they also had some great selections there, but ones I already had. I spent at least an hour browsing through their books, and I am definitely going to be stopping here semi-regularly on my drives between California and Texas. It pairs mightily fine with Reb’s Café 45 miles east in Benson. Pick up some books and then browse them while eating, when you’re going east, or rest your stomach after good comfort food when you’re going west. The Book Stop is also a relatively short walk from the Festival (and thus the university). And if you need something to eat, walk a couple of blocks to Latin It Up, a Cuban sandwich place with a very nice cubano and a great lime-flavored lemonade. Update: Latin It Up has closed. Economics is an important topic, because unlike every other complex field, “from botany to brain surgery”, we cannot avoid taking part: while we can, and usually should, refuse to perform brain surgery, we should not refuse to vote for politicians (and, in some states, initiatives) that have wide-ranging economic effects. Tucson, Arizona: The Book Stop last modified April 1st, 2018.